[Jesus said,] "Anyone who wants to do the will of God will know whether my teaching is from God or is merely my own." Who are you trying to honor? What's the purpose of your life? If you are seeking to do the will of God, then you will know the origin of Jesus's teaching. If you are pursuing the truth, you will find that Jesus opens the door to heaven and opens your heart to God. 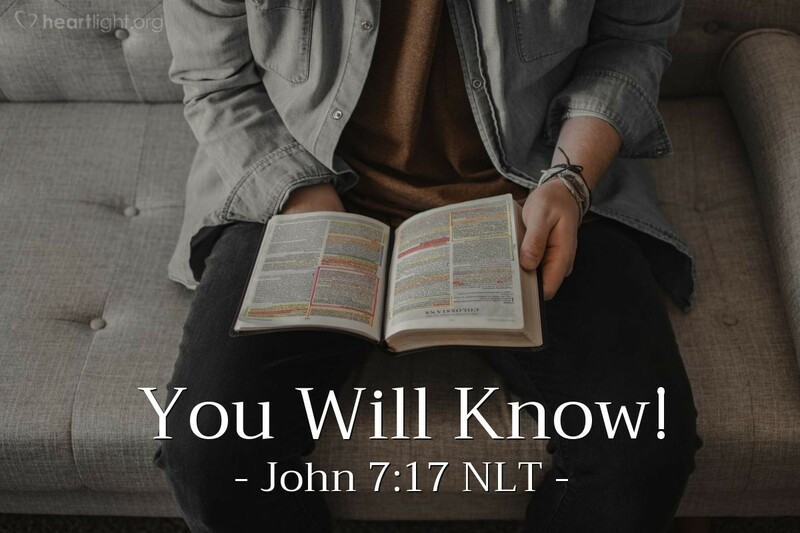 Learn from him, and you will know the way to God! Father, more than anything else, I want to honor you. I confess that I sometimes lose focus and drift in my spiritual walk. But in my heart of hearts, I want to honor you always. Forgive me for the times I have been lax in my spiritual fervor. Remind me how much I need to learn from Jesus every day. When I become distracted, please gently turn me back to your way and to my holy passion. In Jesus' name, I pray. Amen.